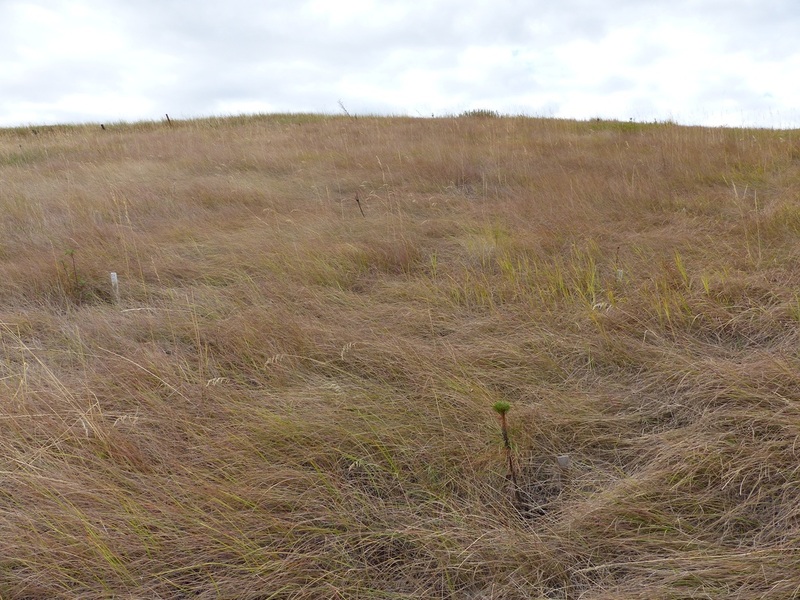 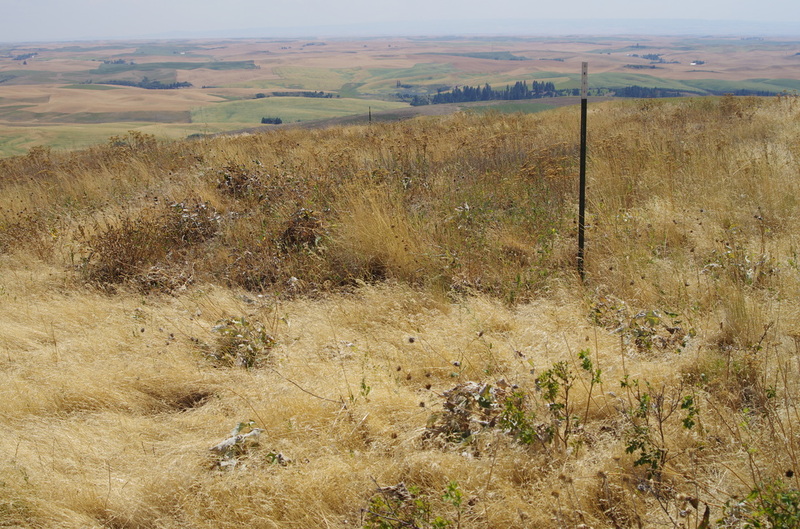 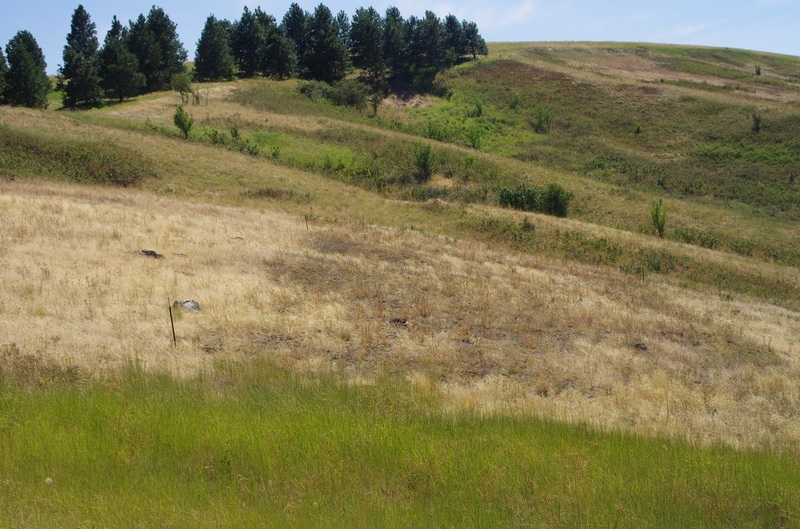 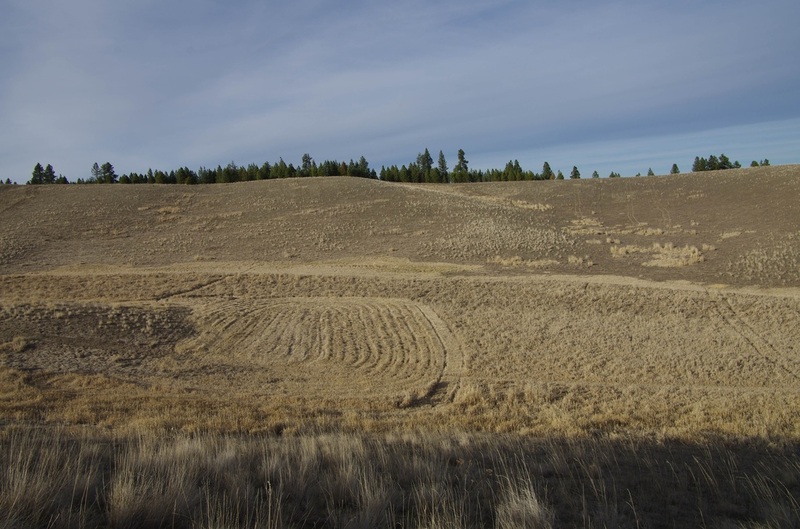 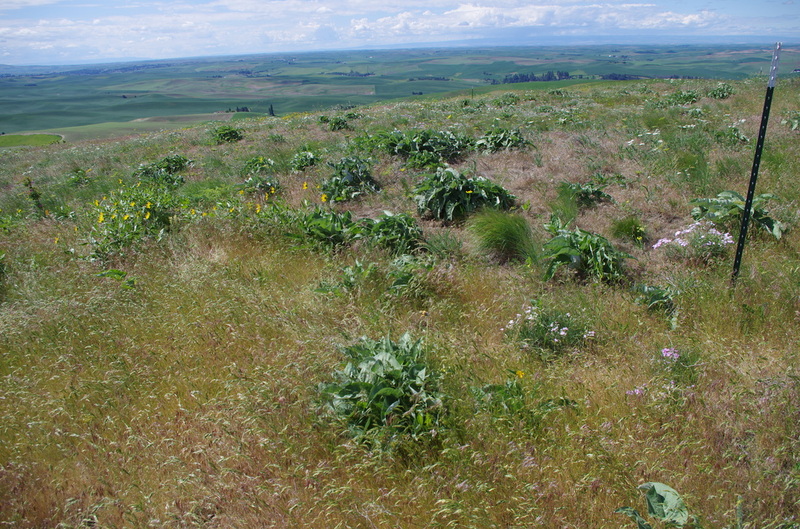 Invasive species control is one of the primary ways we are trying to conserve native Palouse vegetation at Smoot Hill. 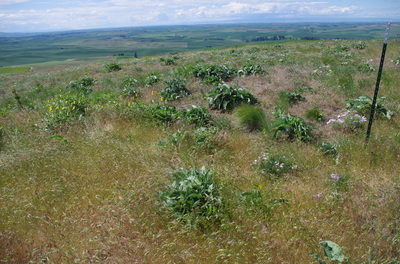 The most pervasive problem species are Bromus tectorum (Downy Brome or Cheatgrass) and Ventenata dubia (African Wiregrass) in the upland areas and Reed Canary Grass (Phalaris arundinacea) in the bottomland areas. 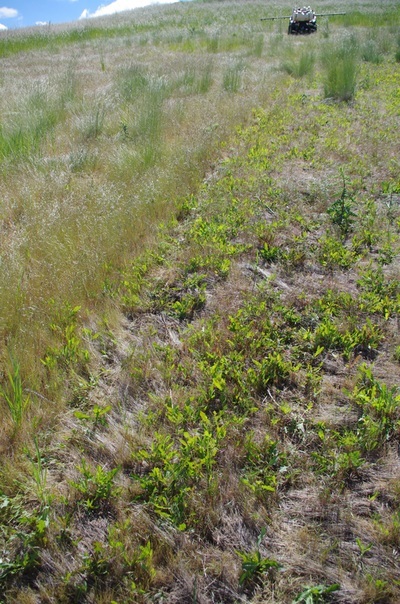 The photos below demonstrate some of the herbicide and mowing control efforts at Smoot Hill. 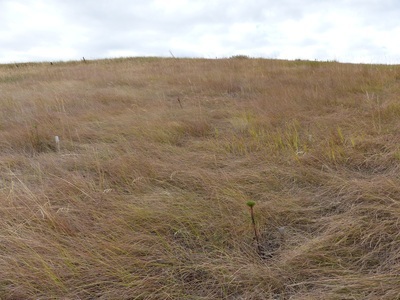 We are beginning trials to control invasive Reed Canary Grass in the streams and wet meadows at Smoot Hill. This will be through a combination of mowing and herbicide application. 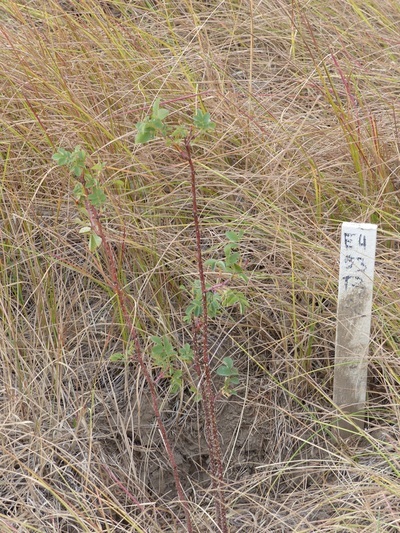 Preliminary efforts can be seen below. 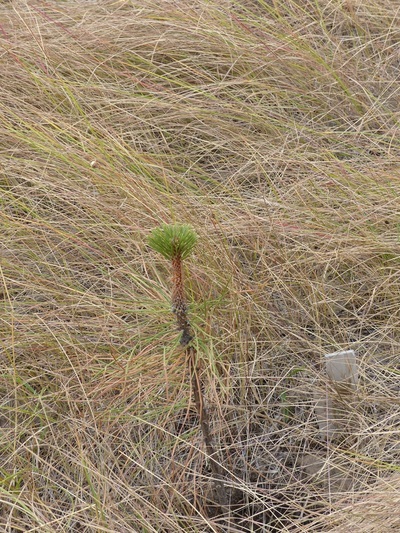 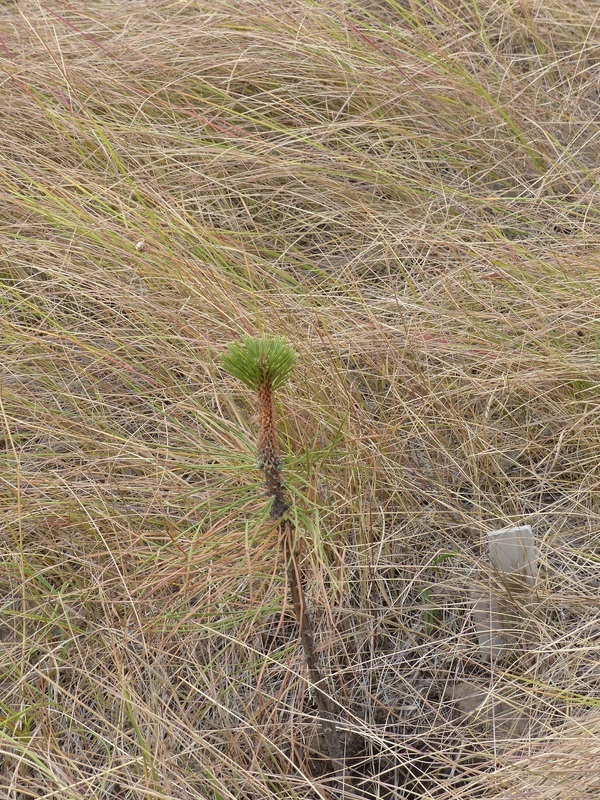 Habitat restoration efforts include tree and shrub planting on north facing slopes to provide better wildlife cover and habitat. 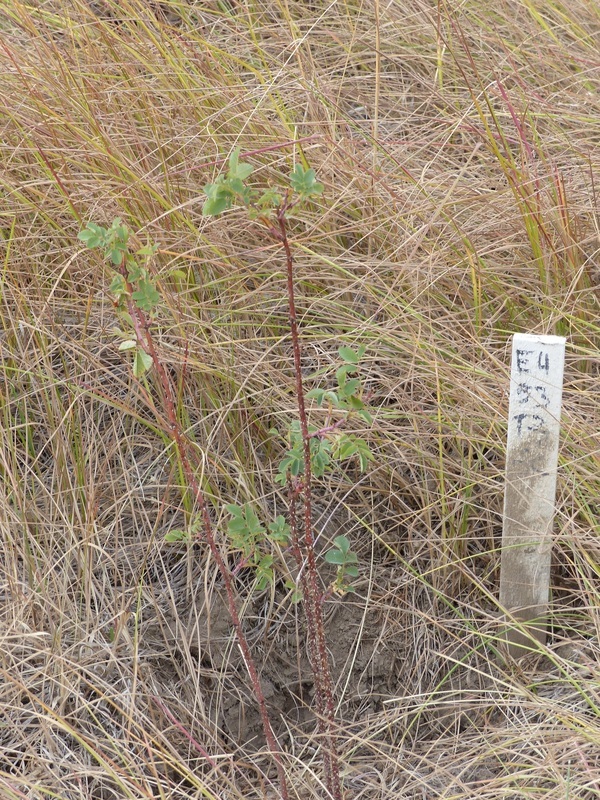 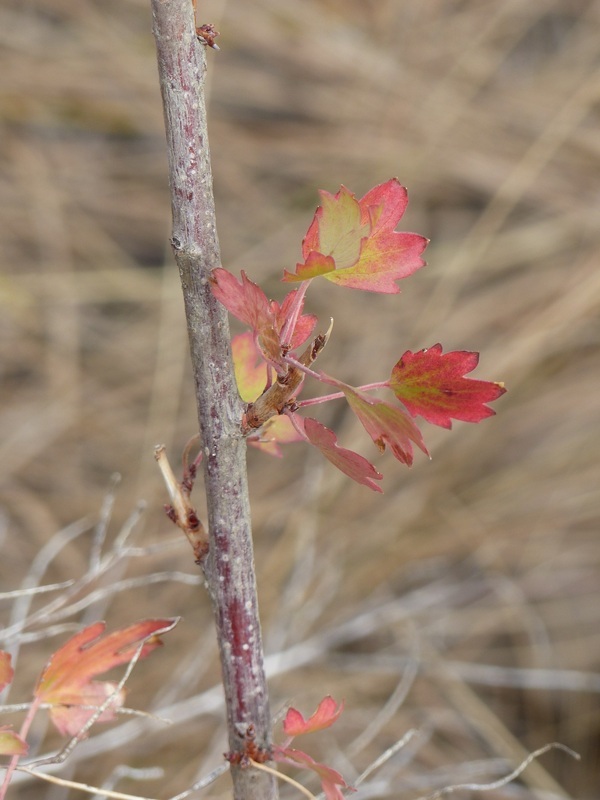 More than 1000 trees and shrubs were planted in the spring of 2014.